Promotional product samples are a great way to try a product before buying it. Place an order for the promotional Embroidered 100% Cotton Golf Towel! Be The First To Review our Promotional Embroidered 100% Cotton Golf Towel at The Executive Advertising! 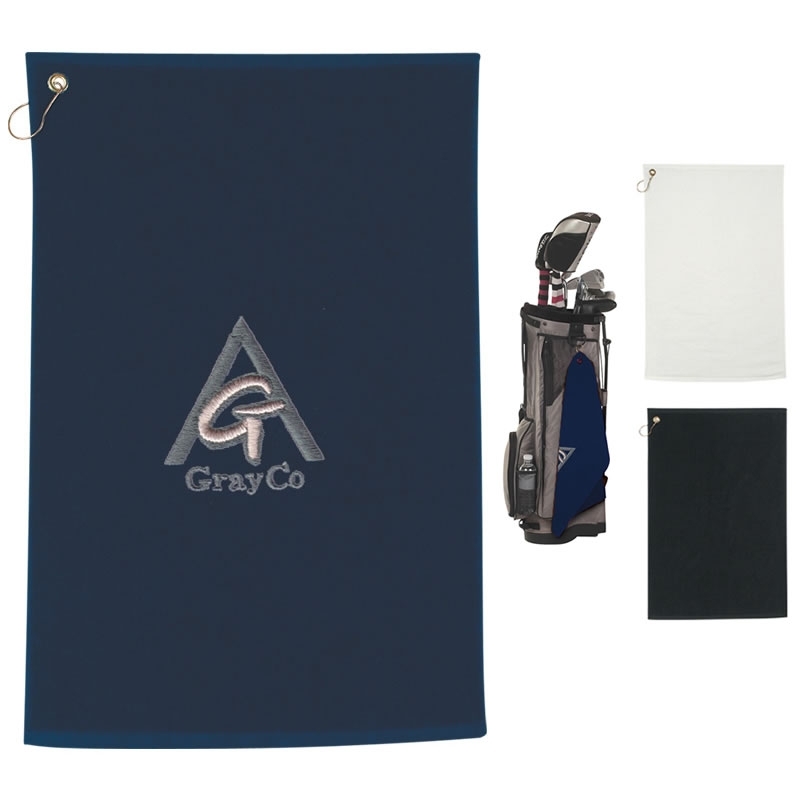 At The Executive Advertising we offer tons of great promotional products like our Promotional Embroidered 100% Cotton Golf Towel decorated with no setup fees! Promotional Embroidered 100% Cotton Golf Towel Item #6074 (Min Qty: 25). Customize your Promotional Towels with your company logo and with no setup fees. If you need any help just contact our customer service staff at 800-338-7996. Popular Searches: Search Terms that got you to this promotional product are Promotional Embroidered 100% Cotton Golf Towel, Customized Embroidered 100% Cotton Golf Towel, and Embroidered 100% Cotton Golf Towel Printed with Logo. You can also view our related products or categories to locate similar items to the Embroidered 100% Cotton Golf Towel.